It had been a long day. I came home from work exhausted and the moment I walked in the door–BOOM—my spouse bombarded me with questions: “Did you put the concert in your calendar?” “Do you know where that receipt is?” “School’s cancelled tomorrow. Will you be home?” “Kaitlyn got invited to….” My head began to spin and I began to hear the sounds adults make on Charlie Brown…”Blah, blah-blah blah, blah.” I had a little question of my own to answer: How do I escape? I wanted to scream…or turn around and walk back out the door to get a breather…or go into the bathroom and “pretend to be occupied by the call of nature.” I don’t know…I had to do something though! Have you ever run into a situation like that, a situation in which you have a legitimate complaint but you don’t know how to address it? We all have. I watched “Saving Mr. Banks” recently (an excellent movie, by the way) and was reminded of an excellent solution. Mary Poppins gives the solution when she sings “A spoonful of sugar makes the medicine go down…in the most delightful way.” Complaints, like many medicines, have a bitter taste to the one receiving it. It leaves a bad taste in the mouth, elicits defensiveness, and can make a person feel unappreciated. The residual bad taste, feelings of defensiveness, and a feeling of being unappreciated make it difficult for the person receiving the complaint to hear it or understand it. Instead, they might feel hurt or angry. You can avoid this by offering the complaint in “a spoonful of sugar!” Here is how to do it. First, step back for a moment and think about the other person’s intent. What are they trying to accomplish with the behavior that you want to complain about? What contributes to their action? In my example, my wife is an incredible planner and organizer. Without her planning I would not get near as much done as I do and our family would miss out on so many opportunities. The positive intention of her behavior is making sure our family is on the same page, that I do not miss any important events, and the each person’s needs are met. Second, appreciate and admire that intention. Take a moment to realize the benefit of the other person’s work. Allow it soak in. admire that person for their desire to bring something good and positive into your life. In my example, I can appreciate how smoothly our family functions and how many activities and opportunities we engaged in because of my wife’s planning. I can admire her for her selfless work in making our family life better. Third, tell the other person. Tell them how much you admire and appreciate them (step two). Then, convert your complaint into a simple statement of need. Explain in one statement what your family member can do to help you. A practical example from my situation…”I really appreciate how you keep things organized for our family. In fact, I am amazed at how much we are able to do because of your efforts and how much you accomplish. One of the things I love about you is your ability to organize and how you use that ability to help our family do so many fun things. And, I am glad to answer questions. But, when I come home could we postpone the questions until we greet each other and have 10-15 minutes of down time and small talk?” There it is, a spoonful of sugar to make the medicine go down…in the most delightful way. I remember a saying I heard when I was 9-or 10-years-old: “You can pick your friends and you can pick your nose, but you can’t pick your friend’s nose.” All the boys laughed and the girls let out a loud “Ewww” in chorus. Still, we all got the implicit message: there are certain things you do not do. 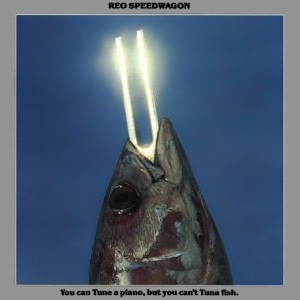 A few years later, REO Speedwagon (a rock band popular in the 70’s and early 80’s) came out with an album (you know, those 10-12 inch vinyl discs, grooved on both sides, that, when rotating under the needle of a record player, produced music) entitled “You Can Tune a Piano But You Can’t Tuna Fish.” Well, today we need a new saying along those same lines…and I think I have one. Here it is: “You can unfriend people on Facebook but you can’t unfriend family from your life.” I know, it needs a little work. It lacks the pizzazz and flair of the “picking your friends” thing and the whit of “tune a piano-tuna fish.” But, it does communicate an important truth. You cannot unfriend family. They go with you wherever you go. 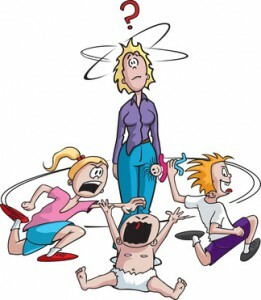 Any anger we harbor toward family will follow us into other intimate relationships. Apron strings left uncut by “Mamma’s boy” or tied to tight by “Daddy’s little princess” turns into a choke-leash that holds us back from intimacy with others. Unrealistic adorations of our perceived “perfect family” or fairy-tale expectations of an elitist family will only set us up for disappointment, hurt, and failure in future relationships. Each of these aspects of our family will follow us wherever we go. You can’t unfriend family. Instead, you have to emancipate (unravel) family. Here are 3 essentials to emancipating family relationships. The first step in unraveling family is acceptance. Realize that you cannot change your family or anyone in your family. You are not responsible to make any family member feel or behave a certain way. All you can do is accept each person for who they are…warts and all. Accept them in their weaknesses, their mistakes, and even their irritations. Accept their love for you, even if it is miscommunicated or lost in translation. You may increase your acceptance of each family member by considering things you like about them. Take time to recall things they have done or said that you admire or appreciate. Realize they have strengths as well as weaknesses and recall those strengths often. Learning more about their life may also increase your acceptance of each family member’s idiosyncrasies. 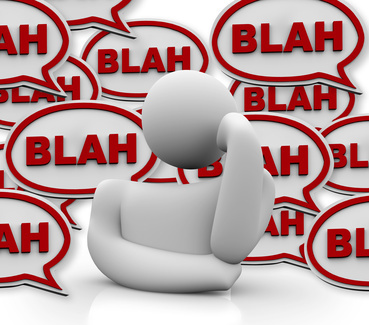 Consider where these idiosyncrasies may have come from? How they suffer as a result of them? And, what their idiosyncratic behaviors cost them? Unraveling family begins with acceptance. Second, forgive. If any family member has done anything to hurt you in any way, forgive. I’m sure some of you are saying, “There is no way I’ll forgive them. What they did was too much to forgive!” Granted, some people suffer unbearably at the hands of family. However, when we do not forgive we continue to suffer at their hands. Our anger becomes a leash that keeps us from holds us in a family prison yard of anger and prevents us from finding greener pastures. Bitterness grows and engulfs our heart like kudzu engulfing and eventually killing a tree. Let go of the bitterness and entrust God to work out the justice. Begin to pray for the other person and develop empathy for how they have been hurt by their actions. Forgive. Third, define yourself. After you have accepted each family member for their uniqueness and forgiven them, letting go of the anger that binds you to them, you can define yourself. Discover your interests and priorities. Investigate what you want in a healthy life and relationship. Learn the practical daily habits that will allow you to live the life you desire. Take the steps to begin to build a healthy life! One step toward healthy living is reading good books on family life—here are a few books we found helpful. Another crucial step includes finding good counsel and supports, people you trust and who model the kind of family you desire. You can’t unfriend family from your life, but you can unravel family. As you do, you will find that you can love your family in spite of shortcomings. In fact, you may find your family is actually pretty nice in many ways. And, you will continue to grow an even stronger and more intimate family of your own! 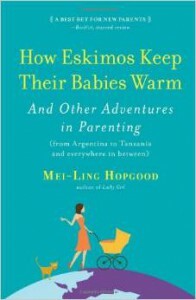 I just finished reading How Eskimos Keep Their Babies Warm, an excellent book written by Mei-Ling Hopgood and published in 2012. Mei-Ling Hopgood, a new mother herself, takes the readers on a journey around the world to look at various parenting styles and practices. Each stop offers insights into parenting that we often overlook when raising our children in the zealous child-centered practices of the United States. Her travels take us to meet parents in Argentina, China, Kenya, France, a Mayan village, Tibet, and more. She delves into topics as varied as play, eating, sleep, peer conflict, strollers and potty training. We meet the “best fathers” in the world when visiting an AKA pygmies village and some of the closest extended families in the United States when visiting the Lebanese Americans. Ms. Hopgood, a journalist by trade, uses an easy-to-read style to compile information from sources as varied as anthropology, sociology studies, first hand interviews with people around the world, and personal anecdotes from her own family. I thoroughly enjoyed this book. Ms. Hopgood does not judge but opens up possibilities for parents. She helps us realize that parents around the world utilize varied, yet effective and loving methods to raise their children. In fact, we might learn a thing or two from some of the practices she discusses. For instance, we can gain insight into developing parent-child relationships from the AKA pygmy fathers. We might learn how to increase the variety of foods our children eat from the French. Polynesians might teach us how to encourage our children to play without their parents and the Japanese how to teach our children moral reasoning. The list goes on: Mayans teaching us about children and work, Asians how to encourage academic excellence, and Tibetans how to cherish pregnancy. If you are a parent, check this book out. You will enjoy reading it…and learn lots of ideas you might want to try. I don’t know if an event like this ever happened; in fact, I rather doubt it. 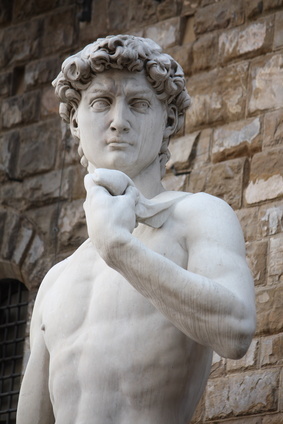 I do know that Michelangelo is credited with the two quotes noted above… and those quotes have significance when it comes to our wives. In our marriage, God has called us to see the “angel” in our wife and set her free! You may think I’m crazy, but Solomon, the wisest scholar in the Bible, records a similar truth in his love story, The Song of Songs. He opens his story by introducing us to a woman filled with self-doubt, a woman who sees herself as ugly and unworthy. I imagine her self-deprecating tone as she tells those around her, “Do not stare at me…because I am darkened by the sun. …My own vineyards I had to neglect.” But she has an admirer, a young man who sees the angel in the darkened skin, sun-streaked hair, and calloused hands of this working woman. He turns to her and says, “How beautiful you are my darling! Oh, how beautiful! Your eyes are doves.” He even describes her as a “lily among thorns is my darling among the young women.” In response to his admiration, her “angel” comes forth. The young woman begins to accept her own beauty and calls herself a “rose of Sharon, a lily of the valley.” While she saw as a sun-darkened, hard-working calloused body, her admirer saw an “angel.” He recognized the “angel” within her and called her out. In response to his spoken admiration (“how beautiful you are my darling”), she gained confidence. In response to the value he placed on her (“as a lily among thorns is my darling among the young women”), she saw herself as valuable. He had seen the angel within her and set her free! The first step in growing more intimate with your wife is to see the “angel” within her, those attributes that makes her a “lily among thorns” in your eyes. What qualities first attracted you to your wife? What are your wife’s strengths? What are your wife’s best character traits? How does your wife bring you honor? What do you admire about your wife? If your wife were to suddenly disappear for some reason, what would be missing in your life? Your home? Your family? How does your wife make your life better? How does your wife bless your family? Benefit your family? Make your family life better? Thank God for your wife, this “excellent woman” who is a “crown” of great worth. 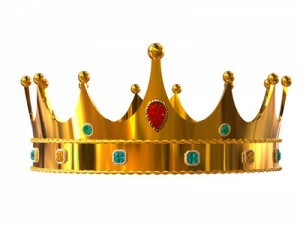 20 Family Rules for Social Media…Straight from God! Social Media tools have grown faster than I can keep up. I cannot come close to keeping up with Facebook, Twitter, Instagram, and Pinterest while throwing a few pics out on Snapchat. I still have trouble texting. Even more confusing, I often wonder why people choose to post what they post. I’m not the only one in this conundrum though. ABC reported that a third of all divorce filings in 2011 contained the word “Facebook” according to Divorce Online. ABC also reported that, according to the American Academy of Matrimonial Lawyers, more than 80% of U.S. divorce attorneys said social networking in divorce proceedings was on the rise (Click here for the report). 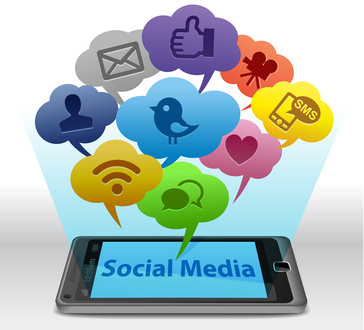 A Clinical Report from the American Academy of Pediatrics entitled The Impact of Social Media on Children, Adolescents, and Families reported that social media can help children through socialization, communication, enhanced learning opportunities, and accessing health information. At the same time, children also risk becoming the recipient of cyberbullying, sexting, Facebook depression, and the influence of advertisers on social media sites. Obviously, we need some family rules to help monitor our family members’ use of social media. The American Academy of Pediatrics (AAP) recommends several ideas, like no more than 2 hours per day of screen time for children and other beneficial ideas at this AAP site. Visit them for information to help you manage social media in your family. Although you will find invaluable information on the use of social media on the internet (ironically), I thought it might be interesting to see if God has anything to say about social media. So, here are twenty proverbs that answer some questions and clarify important principles for families using social media. Proverbs…no explanations, just the proverb presented for you to consider and apply to your use of social media. How much does a wise person share on social media? The wise don’t make a show off their knowledge, but fools broadcast their foolishness—Proverbs 12:23 (NLT). A truly wise person uses few words; a person with understanding is even-tempered. Even fools are thought wise when they keep silent; with their mouths shut, they seem intelligent—Proverbs 17:27-28 (NLT). Too much talk leads to sin. Be sensible and keep your mouth shut—Proverbs 10:19 (NLT). With their words, the godless destroy their friends, but knowledge will rescue the righteous—Proverbs 11:9 (NLT). The words of the reckless pierce like swords, but the tongue of the wise brings healing—Proverbs 12:18 (NIV). Those who control their tongue will have a long life; opening your mouth can ruin everything—Proverbs 13:3 (NLT). Gracious words are a honeycomb, sweet to the soul and healing to the bones—Proverbs 16:24 (NIV). As sure as a north wind brings rain, so a gossiping tongue causes anger—Proverbs 25:23 (NLT). What are the best kinds of words to use on social media? Don’t use foul or abusive language. Let everything you say be good and helpful, so that your words will be an encouragement to those who hear them—Ephesians 4:29 (NLT). Do everything without complaining or arguing, so that no one can criticize you—Philippians 2:14-15a (NLT). What about arguing and complaining on social media? A gentle answer turns away wrath, but a harsh word stirs up anger. The tongue of the wise adorns knowledge, but the mouth of the fool gushes folly—Proverbs 15:1-2 (NIV). A perverse person stirs up conflict, and a gossip separates close friends—Proverbs 16:28 (NIV). Starting a quarrel is like breaching a dam; so drop the matter before a dispute breaks out—Proverbs 17:14 (NIV). An offended friend is harder to win back than a fortified city. Arguments separate friends like a gate locked with bars—Proverbs 18:19 (NLT). When arguing with your neighbor, don’t betray another person’s secret. 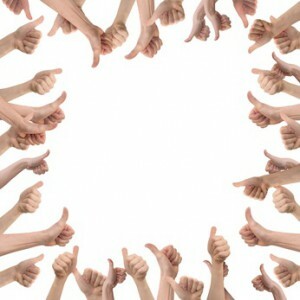 Others will accuse you of gossip, and you will never regain your good reputation—Proverbs 25:9-10 (NLT). Wise people think before they act; fools don’t—and even brag about their foolishness—Proverbs 13:16 (NLT). The simple believe anything, but the prudent give thought to their steps—Proverbs 14:15 (NIV). A wise person is hungry for knowledge, while the fool feeds on trash—Proverbs 15:14 (NLT). Do you see someone who speaks in haste? There is more hope for a fool than for them—Proverbs 29:20 (NIV). 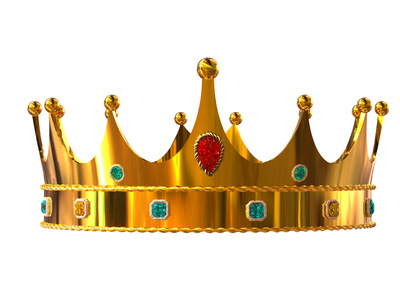 The lips of the adulterous woman drip honey, and her speech is smoother than oil; but in the end she is bitter as gall, sharp as a double-edged sword—Proverbs 5:3-4 (NIV). What other proverbs do you think apply to the use of social media? Kids can be mean! You know it and I know it. I see it on the playgrounds, in the school, and even on the internet. Our kids face bullying, cyberbullying, teasing, name-calling, and physical intimidation more often than we want to admit. Over 3.2 million students are victims of bullying each year and as many as 160,000 teens skip school because of bullying. Some reports suggest that 90% of 4th through 8th graders report being victims of bullying! (Click here and here for more statistics about bullying.) 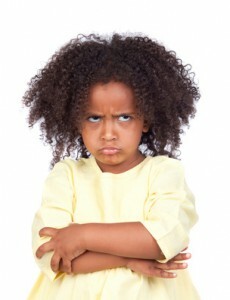 In other words, kids can be mean and our kids face social rejection…often! Social rejection actually impacts the brain regions associated with physical pain…and releases the same pain-killing chemicals. In other words, social rejection, bullying, and teasing results in the perception of actual physical pain! Kids can be mean. While parents cannot protect their children from all these potential troubles, we can give them the gift of our blessing. Giving our children a blessing is a great privilege, an opportunity to speak joy, strength, and value into their lives. By giving our children a blessing we boost their resilience. Even one well-worded blessing will help counteract the emotional pain our children experience in the world…imagine what a yearly blessing can do! A blessing communicates acceptance. It validates our children’s worth and affirms their value. When we give our children a blessing we acknowledge their strengths and envision an exciting future for them based on those strengths. A blessing also informs our children that we are in their corner and committed to their future. Think about the healing such a blessing offers. Consider the strength that such a message can instill in the life of your children. Giving your children the gift of your blessing takes some preparation. First, think about 2-3 traits you admire in your children. Do not settle for a simple physical ability. Consider what you truly admire. For instance, do you value your children’s ability in sports or do you really value the persistent effort and humble sportsmanship they exhibit? Do you look on their interaction with younger kids with admiration or do you really admire their sensitivity to others, their love of children, and their gentle spirit? Do you like the music they create with their instrument or do you admire their self-disciplined practice and humble desire to share their talent with others? You get the idea. Take time to think about what you truly admire and value in your children. Second, identify a specific example for each trait. Perhaps you saw their sensitivity toward others when they helped their friend after a difficult experience. Or maybe you noticed their sportsmanship in the way they interacted with a member of an opposing team who was taunting him…or when he was disappointed with where the coach placed him. Think of one concrete example for each trait you have identified. Third, think about how these traits will help provide a special future for your children. Fourth, write it all out. Keep it short—no more than one side of one page. Write down the two or three traits you admire followed by a supporting example for each. Share your excitement for their future in light of these traits and strengths. And, make it clear that you will remain present and supportive in their life as they move toward their future. There is one more step. After you have written your blessing, schedule a time to meet with your child to give her the blessing. Make it a special time. You might give your child his or her blessing over a special dinner or during a special outing. Make it a time that will reflect the gravity of the blessing. Giving the gift of your blessing takes time and effort. However, the result is powerful! Hurts are healed. Character is validated and reinforced. Strengths are affirmed. Identify is valued and supported. Your child will walk away after receiving your blessing with their head held a little bit higher, their step a little livelier, and their relationship with you a little more secure. What a blessing! We have all experienced anticipation…that feeling of excitement that something is going to happen, the expectation that an exciting event is coming your way! Perhaps you experienced anticipation while looking at the oddly shaped and wrapped present under the tree with your name on it. 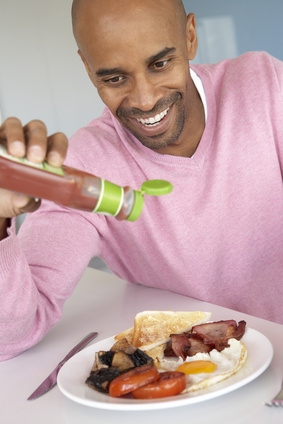 Or, you may have felt anticipation when you knew a family member was coming home for a visit after their first semester at college…or your adult child was bringing a newborn grandchild home…or you patiently tapped the Heinz ketchup bottle in just the right place, anticipating the gentle flow of sweet ketchup onto the plate next to your french fries. You get the idea. Anticipation builds excitement. It motivates us to action. It energizes our desires. It draws us toward the object of our anticipation. If waiting for ketchup to come out of the bottle and flavor our fries can do all that, imagine what anticipation can do for your marriage! That’s right, anticipation can build excitement in your marriage; motivate you to act in response to your spouse, energize your desires. It can put the “zing” back in your marriage. So, how do you build anticipation in your marriage? Keep your spouse in mind, even when you are apart. If you happen to come across something your spouse enjoys, pick it up and bring it home as a gift. This could be as simple as bringing home her favorite gum or his favorite candy bar. You may find this simply means sending a quick text message telling your spouse you’re thinking of them and love them. Do the unexpected. Bring home flowers once in a while. If that is too common, try bringing home a fruit bouquet. Maybe you can give your spouse a card of your own design, made with your own hands. Surprise your spouse with tickets for the CLO or the baseball game. Just use your imagination and do something unexpected to express your love to your spouse. Romance your spouse. Don’t let the romance end after dating. Intentionally keep the romance alive. Imagine putting on some nice music, lighting the candles, and giving your spouse a back massage. Or, go on a special date followed by a walk along the boardwalk hand-in-hand. Do a special chore around the house. We all know there are chores our spouse hates to do as well as things our spouse would like us to do. Whether it is cleaning the garage or washing the dishes, do a chore that will have special meaning for your spouse. By doing these activities on a regular basis, you build anticipation in your marriage. Your spouse will wait with excited expectation to see what you will do next. They will look at you with the spark of anticipation in their eyes, waiting expectantly to see how you share your love today. And, your spouse will more actively seek out ways to show you love as well!